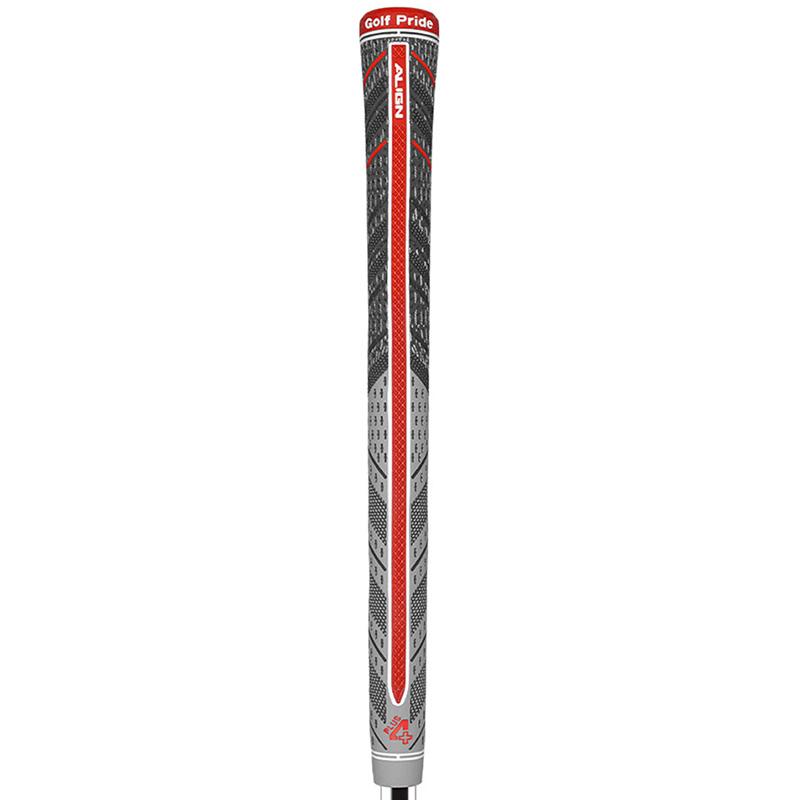 The Golf Pride MCC Align grip is the perfect all-weather grip, which provides consistent hand placement for better accuracy playing golf. This multi compound golf grip has Align Technology to help you square the club face more consistently, with a micro-diamond distinctive ridge texture, plus4 simulates having 4 layers of added tape on the lower part of the grip, for lighter pressure and more power. This firmer red ridge rises and extends down the back of the grip to aid better hand alignment locking the hands in the correct position every time.